Monetize Adult Mobile Traffic with First Mobile Cash! 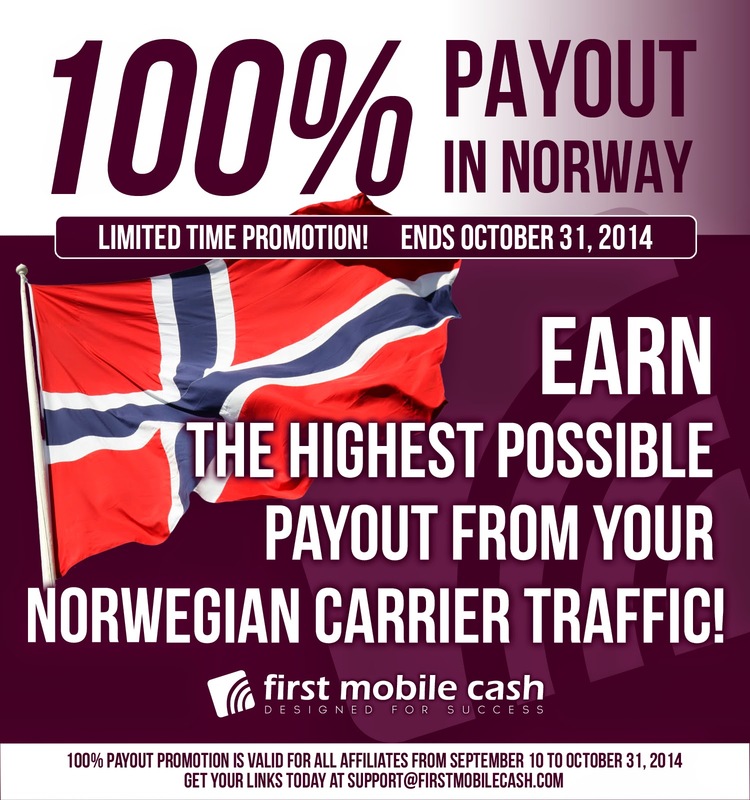 : Got Norwegian Mobile Traffic? Convert it with First Mobile Cash and get the highest payout from mobile billing conversions on the market! 100% payout or 8 eur CPA till end of October 2014!